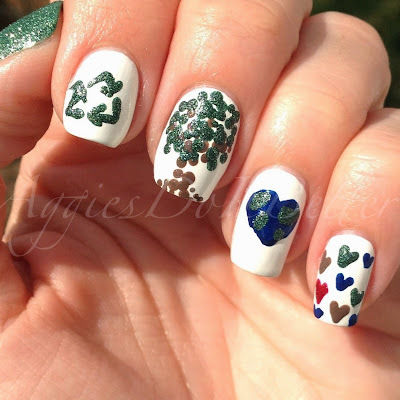 Here are my earth day nails. 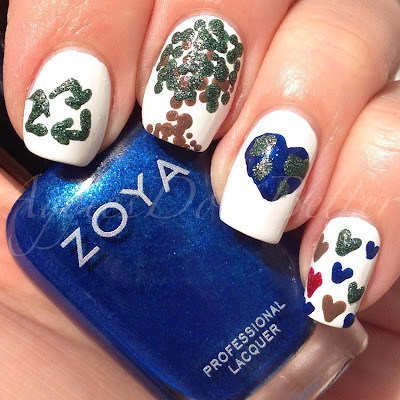 My recycle logo could definitely use some improvement! And my earth started out to be round buttttttt....yeah, not so good at that so heart it is!